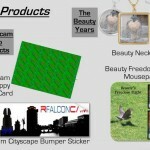 More New & Exciting Items Now Available at the RFalconcam Store! The merchandise Team has been working really hard to be able to offer new items in time for the holiday season. 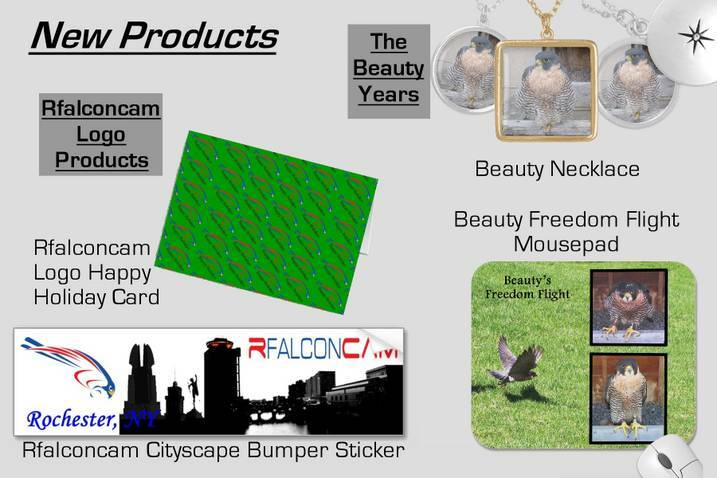 There are many new items in our “Beauty Years” and “Rfalconcam Logo” collections. We have also added a new category called the “B. 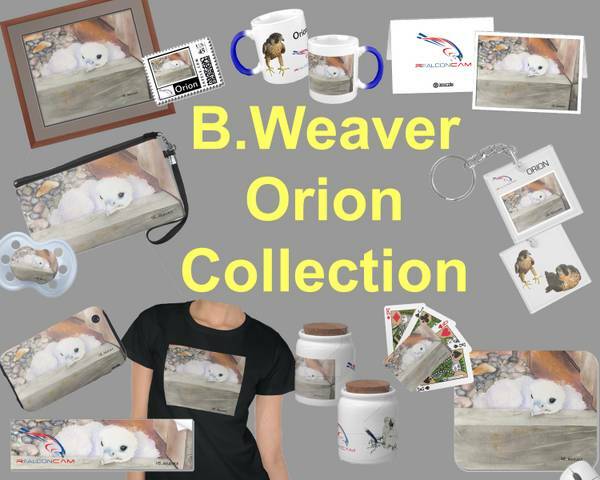 Weaver Orion Collection”. Barb has very kindly given us permission to use her water color image of Orion. You might even see a small, familiar yellowish rock nearby. Thank you Barb! 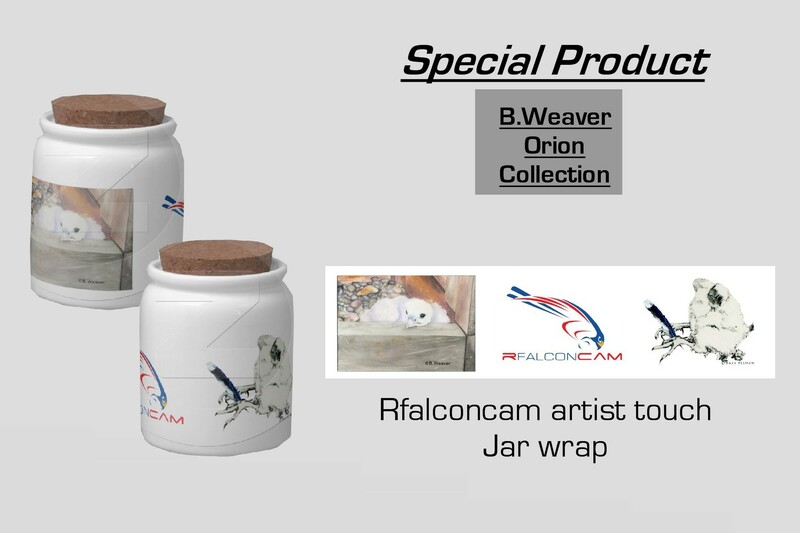 Lastly, we are offering a very unique and beautiful candy jar which includes Barb’s image of Orion and our other contributing artist, Dale Pesmen’s image of an eyas & a blue jay feather, along with the Rfalconcam logo. Both Dale and Barb have allowed us to use these pictures and we thank them both. It can currently be seen under the “B. 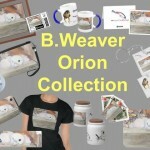 Weaver Orion Collection”. Did you know that if you would like a specific design on a different style shirt or a different color than being shown, all you have to do is click on “See all Styles” under the “Color & Style Options”? There are many to choose from. Check it out! 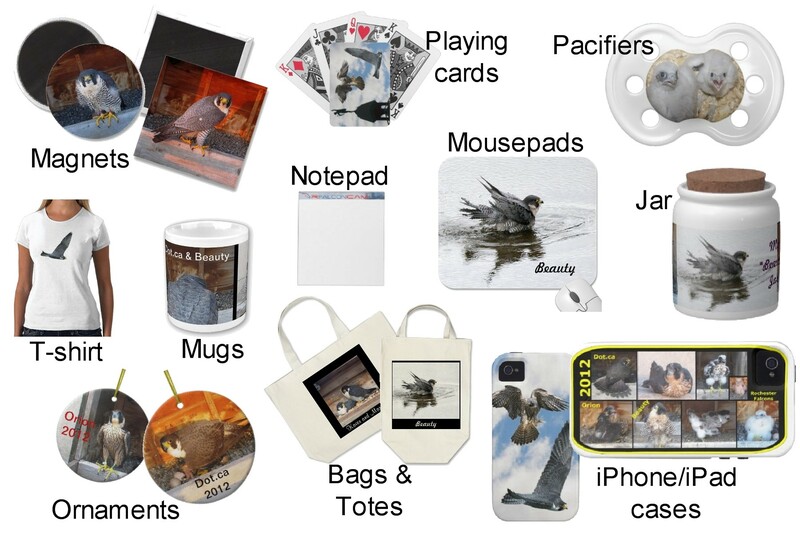 Just click on this link to check out the RFalconcam Zazzle Store for these new items, offered just in time for the holidays and thank you for supporting the Rochester Falconcam! 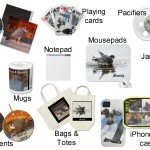 Time to Check Out the Rocheser Falconcam Store – New Items Available Just in Time for the Holidays! The Rochester Falconcam Merchandise Team has been working really hard to bring you new items in time for the holiday season. We have items with Beauty, Dot.ca, Orion, Pigott, Archer, Unity and Mariah & Kaver! Be sure to check out the collection of 2012 Christmas Ornaments! More items will be available soon. So keep checking! Thank you for supporting the Rochester Falconcam! 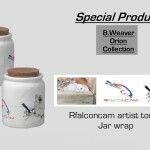 Just click on this link to see what’s new at the RFalconcam Store! You are currently browsing the Imprints blog archives for November, 2012.